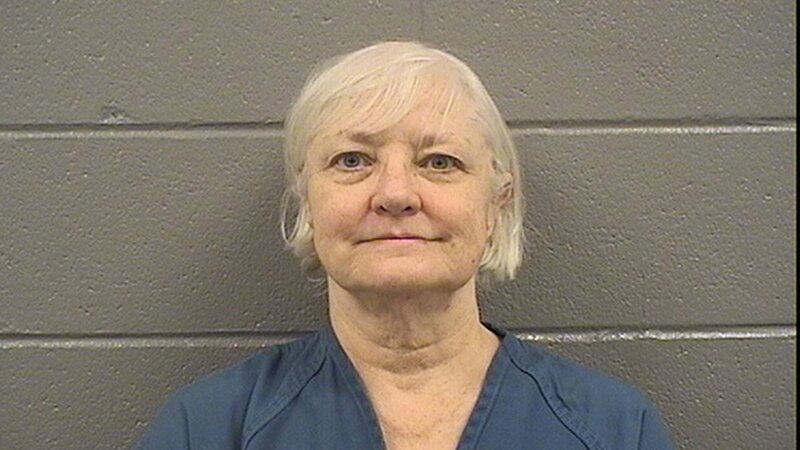 CHICAGO (WLS) -- The woman known for repeated trespassing at Chicago airports returned to a Cook County courtroom Wednesday. A grand jury returned an indictment against Marilyn Hartman for felony theft. The indictment stems from a flight Hartman took from O'Hare three weeks ago to London without a ticket. In that incident, she also went through a TSA checkpoint without showing an ID or boarding pass. Hartman had been released after that case only to be arrested days later at O'Hare - a violation of the judge's order. Since the re-arrest, Hartman has been held at Cook County Jail on no bond. On Wednesday, her public defender filed a Motion to reduce her bond so that Hartman could be placed in a monitored mental health facility with electronic monitoring. Her attorney argued that Hartman was not a danger to the community. The prosecutor argued that the facility was not locked, and Hartman would be 20 minutes from transportation to either airport. The judge denied the motion, so Hartman remains in jail. "The risk of someone being injured in her case is almost non-existent," said Parle Roe-Taylor, Cook County asst. public defender. Hartman's attorney contends the jail is not the right place for a 66-year-old woman with a history of mental health issues and no violent offenses. "She's certainly been afraid. She's tried to stay to herself and be as quiet and unassuming as she can be. It's day-to-day; its difficult," said Roe-Taylor. Most of Hartman's court appearances since 2015 have been at the court at Grand and Central. With the indictment, Hartman will appear at the Leighton Criminal Courthouse at 26th and California on the felony theft charge on February 21. In 2016, Hartman, known as the "Serial Stowaway," was sentenced in Chicago to six months of house arrest and placed on two years of mental health probation. She succeeded in getting on a Southwest Airlines flight from San Jose to Los Angeles in August of 2014. In that incident, she slipped past an agent who was checking a family's boarding passes at Mineta San Jose International Airport, went through electronic security screening and then somehow got past a gate agent. She was discovered only after landing at Los Angeles International Airport. A judge gave her two years of probation, which she violated days later by reappearing at LAX. She was then sentenced to jail time but was released early because of overcrowding at the facility. In February 2014, she made it into an airplane seat for a Hawaii-bound flight at San Francisco International Airport but was discovered when the actual ticket holder showed up. Hartman was removed before takeoff. On other occasions, she was arrested after raising suspicions by loitering in terminals without a boarding pass. After an August 2014 arrest in Phoenix, Hartman told reporters in a teary and rambling explanation of her behavior that she suffered from a mental illness and had been medically diagnosed with major depression. She also said she believed authorities were purposely allowing her to be a plane stowaway so they could arrest her. Authorities placed Hartman in treatment for mental disorders in May 2014 but said she stopped attending after several months. In the past, she has also said that homelessness drove her to take "desperate measures" and that she feels safer in airports than in the streets.